* As this is a 3D caricature figurine, we promise our customers a 60 - 70% resemblance to the photo supplied but not the real person as artists refer to the photo to hand-make the figurine. * For standard order, we will provide customers with FOC sculpted head proofing before we baked the head of the figurine. 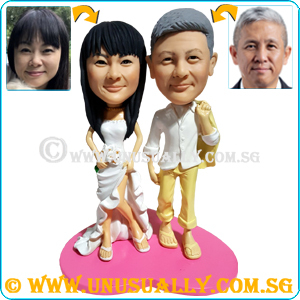 This added services will to protect customers interest on the figurine resembles the person's photo.